We have a special offer on two of our apps for the Pub Show. 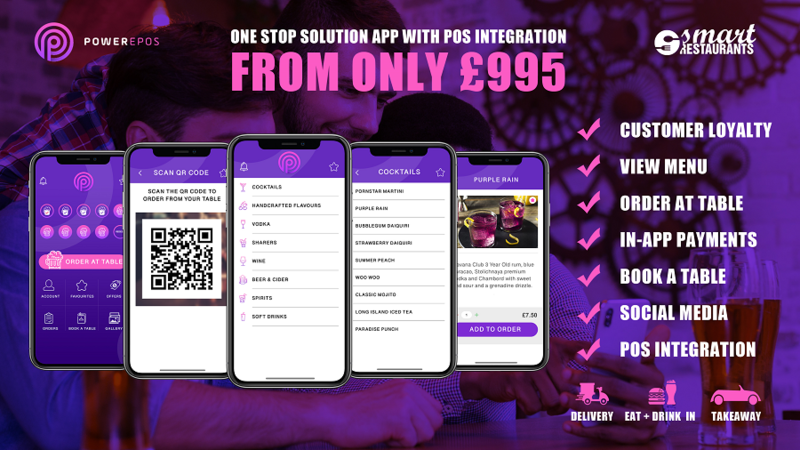 £995 for the all new Power Epos App, where you get and App for your customers to order and recieve loyalty points with Full Pos integration with Power Epos. We also have our editions apps reduced from £1495 to £995 for your choice of Indian, Chinese, Italian or Kebab for a themed app. Dont forget our Bespoke Apps from only £2995. Please Wait for the Success Message, then please select Pay Now.